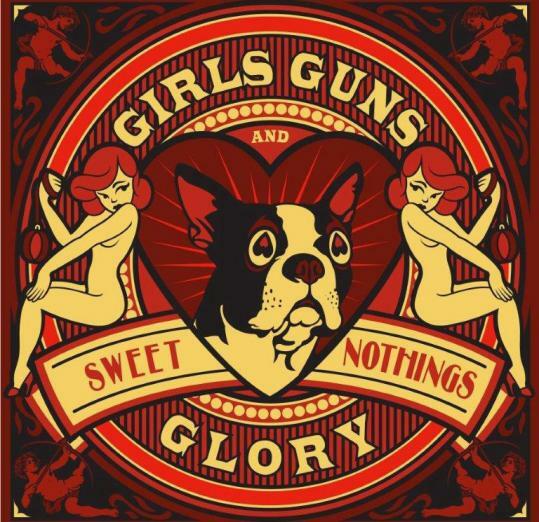 Girls Guns and Glory released three albums in as many years and won just about every local music award in sight. Now Boston’s honky-tonk heroes have returned after a three-year break from the recording studio with a work destined to stand among their best. The band’s effortlessly elegant take on classic country-and-western and pre-Beatles, Roy Orbison-meets-Everlys pop remains intact, as does its catchy hooks and frontman Ward Hayden’s silk-lined vocals. With all this strum and twang, it’s hard to believe Hayden - who recalls smooth talkers like Chris Isaak and Dwight Yoakam, with a dash of Buddy Holly’s jumpy, hiccupy style - hails from Scituate and not the South. But from the bittersweet, hitch-in-his-throat opener of “Baby’s Got a Dream’’ to the gallop and gait of “Root Cellar’’ to the greasy rockabilly ramble of “Snake Skin Belt,’’ Girls Guns and Glory demonstrates a mastery of moods and roots styles that transcends regional boundaries. As if to drive that point home, Taunton native Sarah Borges makes a cameo for a George-and-Tammy-style duet with Hayden on the sweet and sour “1,000 Times.’’ Guest stars aside, “Sweet Nothings’’ glides, soars, and roars on its own, courtesy of a gifted group playing at the peak of its considerable powers. Glorious, indeed.